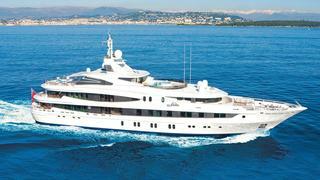 This week saw a bumper crop of yacht sales announced, with 11 deals overall. 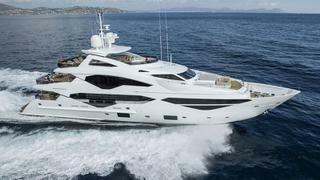 The vast majority of these involved American brokers and seven of the yachts sold were priced in US dollars. The total asking price was in excess of £115 million ($153 million) and the most active brokerage houses were Burgess, Northrop & Johnson, Merle Wood & Associates and Worth Avenue Yachts, all of whom were involved in two completed deals this week. Six price drops were announced on yachts for sale this week, for a total reduction of £3.6 million ($4.9 million), but only two of these reductions were higher than £500,000 ($673,000). 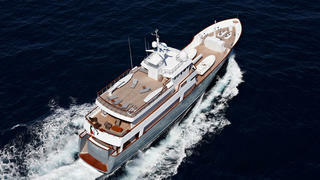 Eight new yachts were listed for sale this week with a combined asking price in excess of £53 million ($71 million). Camper & Nicholsons International was the most active with two new listings, while the 60.56 metre classic Feadship motor yacht Sanoo, listed for sale with KK Superyachts, was the largest yacht to come onto the market.